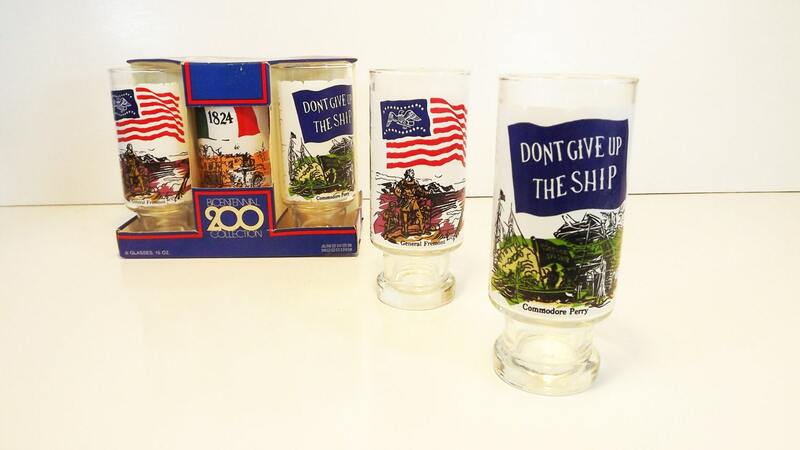 Description: Amazing set of 6 Vintage Bicentennial Glasses by Anchor Hocking. Hi Ball Drinking Glasses in excellent vintage condition! 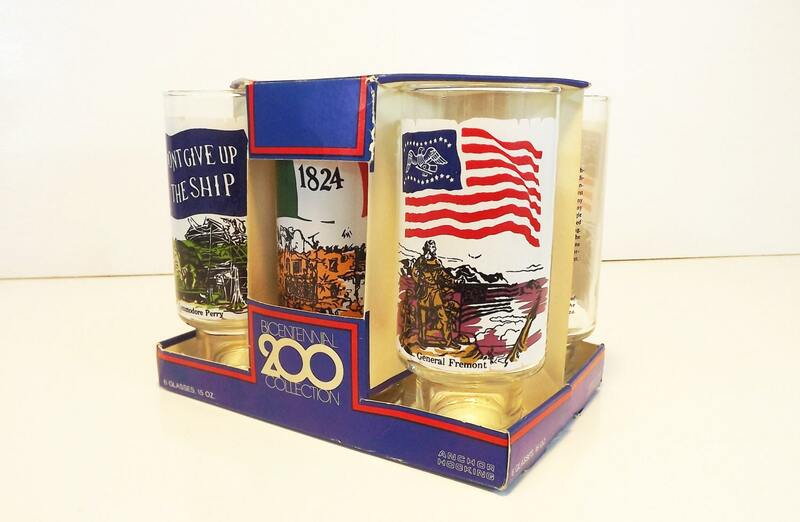 Six different glasses, 3 different designs (2 of each design), each showing an event in American history. 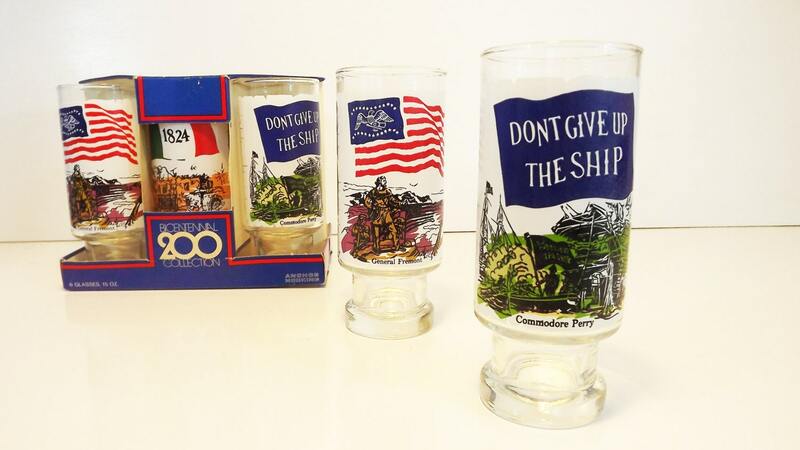 One shows Commodore Perry with the saying "Dont give up the ship". Another shows the Alamo in 1824, the last shows General Fremont. The back of each gives a small history lesson. Condition: I purchased these glasses in the original box. The box did not hold up as well but the glasses look brand new. It seems that many years ago someone received these glasses and put them in a cupboard or closet somewhere and there they stayed...until they were recently found. Left for someone to enjoy today in almost new condition. No chips or cracks, paint is in excellent shape with little (if any) to no wear. Size: Each glass holds 15 oz. Glasses stand 6 1/2'' tall, 2 3/4'' wide at mouth. 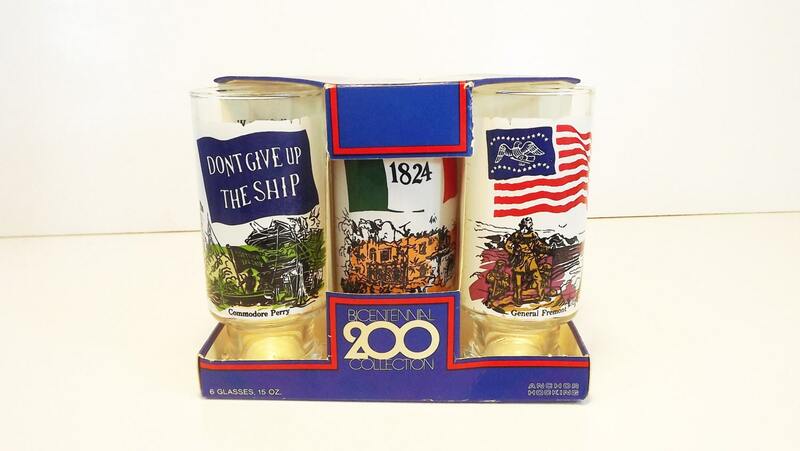 The original box states "Bicentennial 200 Collection" "6 Glasses, 15 oz." "Anchor Hocking"